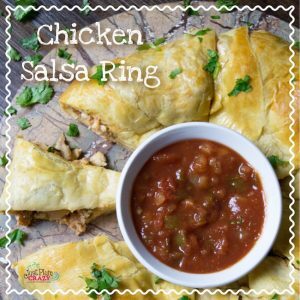 The Chicken Salsa Ring Recipe is brought to you by Just Plum Crazy. 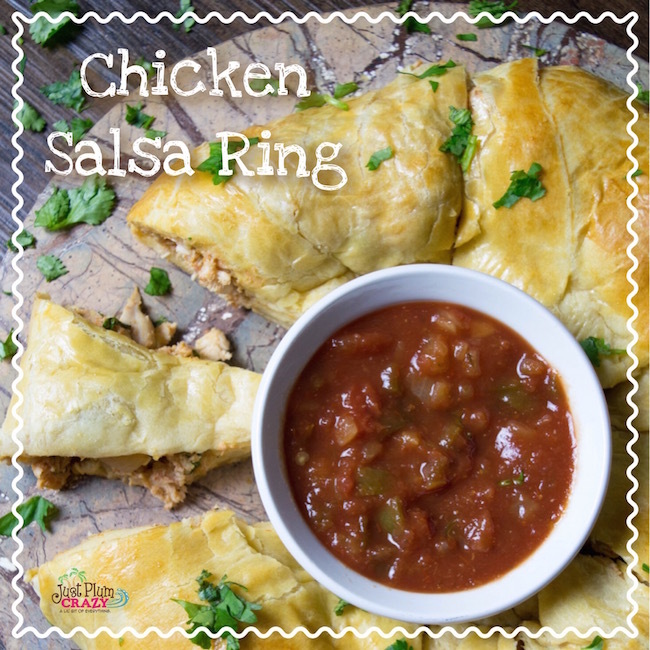 Another perfect recipe for your game day party is the Chicken Salsa Ring Recipe. 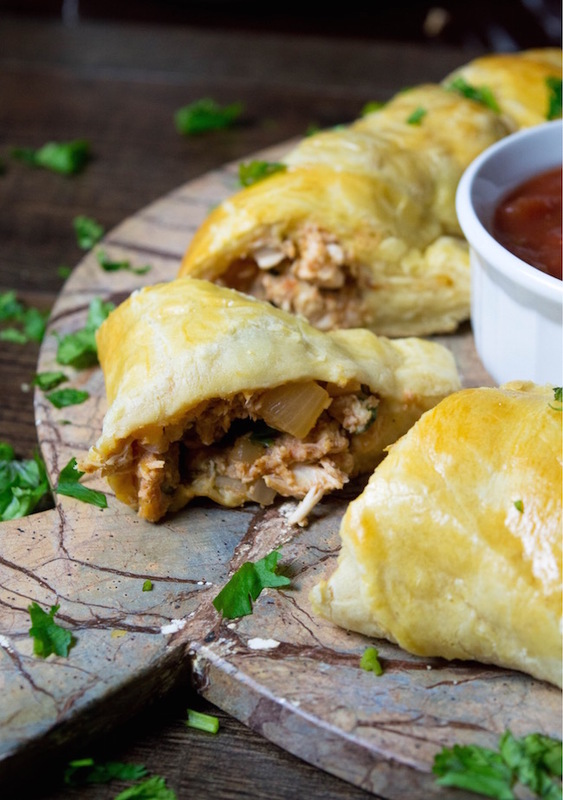 You can easily substitute rotisserie chicken for the cooked chicken in order to make it easier on yourself and still achieve the same results. 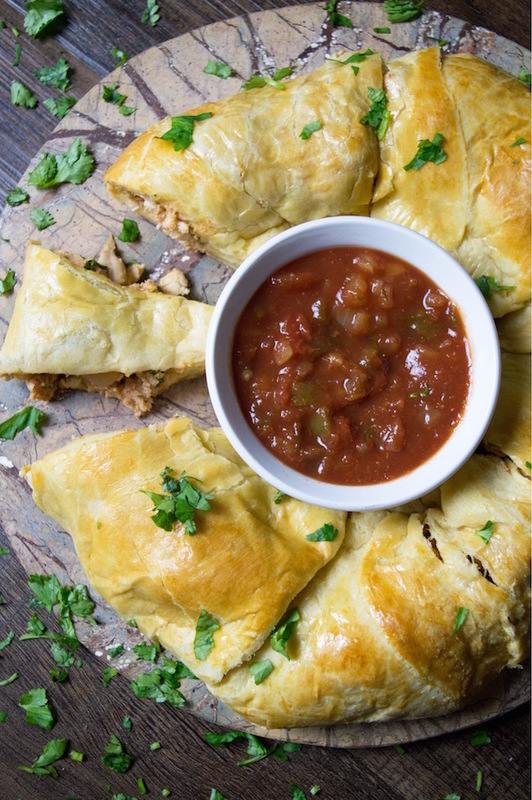 A recipe that everyone is sure to enjoy! 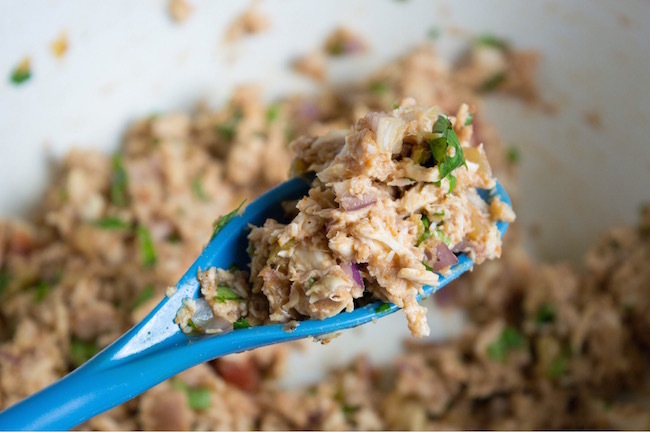 3 cups shredded cooked chicken (and you can very easily use rotisserie chicken for this recipe). ¼ cup red onion, diced. 2/3 cup of shredded cheddar cheese. 2. In a large bowl, mix together the chicken, spices and salsa together. 3. Take one package of crescent dough, unroll it. Cut it into 4 even quarters. Lightly roll each quarter. Repeat with the other package. 4. On a large greased pan, take four quarters and create an open cross, making sure to leave a 3 inch opening in the center. 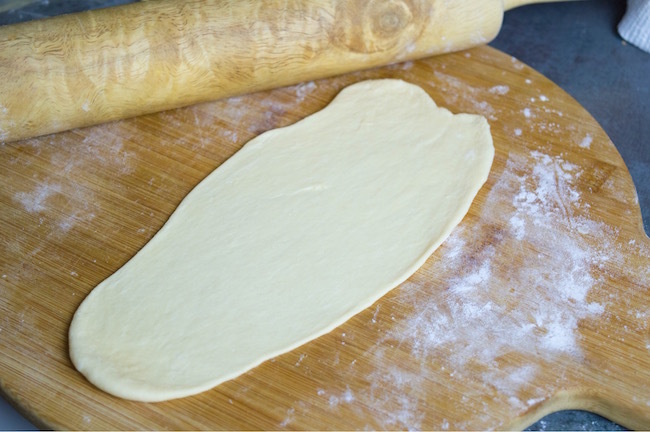 Repeat with the remaining four quarters, but this time make the cross into a circle, where the dough overlaps at the center edges, with the 3 inch opening still open. It will look almost like a sun when done. 5. 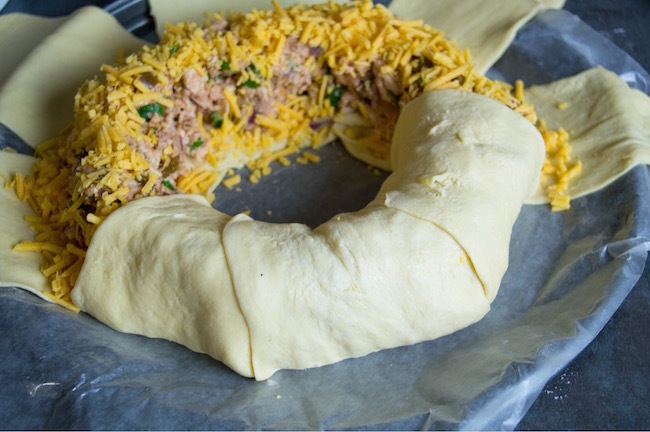 Add an even layer of meat mixture to the ring of the dough (where the dough touches each other). 6. Add an even layer of shredded cheese over the meat mixture. 7. 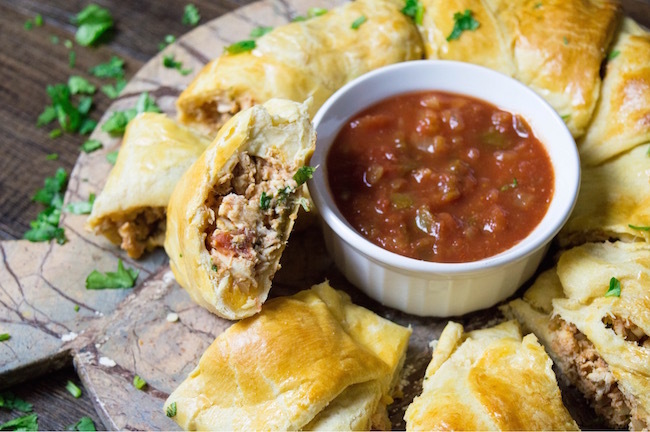 Gently take each end of the dough and tightly pull it over the cheese and meat, being sure to tuck it cleanly under the other end of the dough. 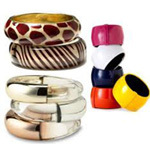 Pinch all ends together. 8. In a small bowl, beat an egg. Take a pastry brush and with the egg, gently coat the top of the dough for a nice color while baking. 9. Bake for 20-25 minutes, or until a nice golden color. 10. Serve warm and enjoy. In a large bowl, mix together the chicken, spices and salsa together. 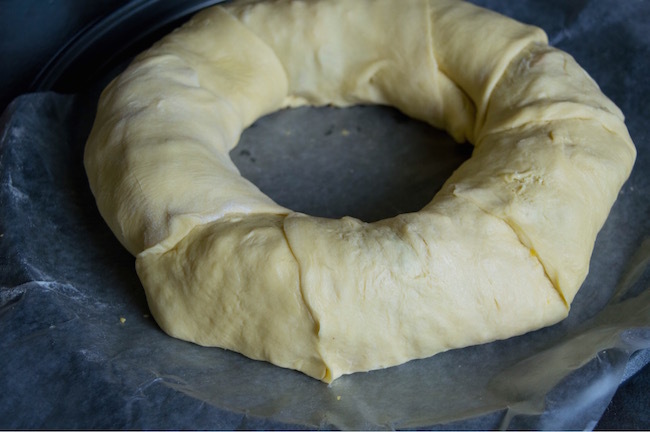 Take one package of crescent dough, unroll it. Cut it into 4 even quarters. Lightly roll each quarter. Repeat with the other package. On a large greased pan, take four quarters and create an open cross, making sure to leave a 3 inch opening in the center. 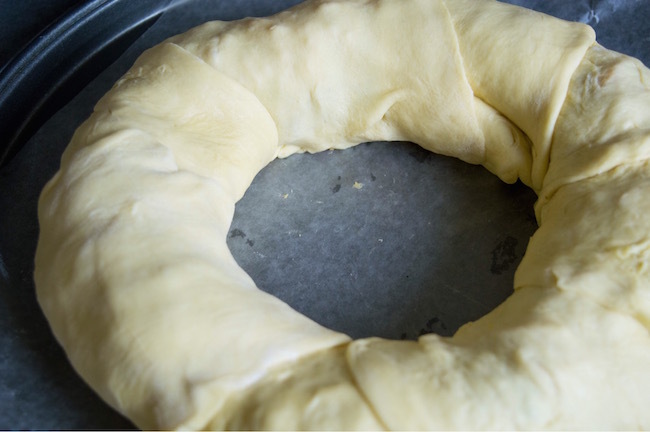 Repeat with the remaining four quarters, but this time make the cross into a circle, where the dough overlaps at the center edges, with the 3 inch opening still open. It will look almost like a sun when done. 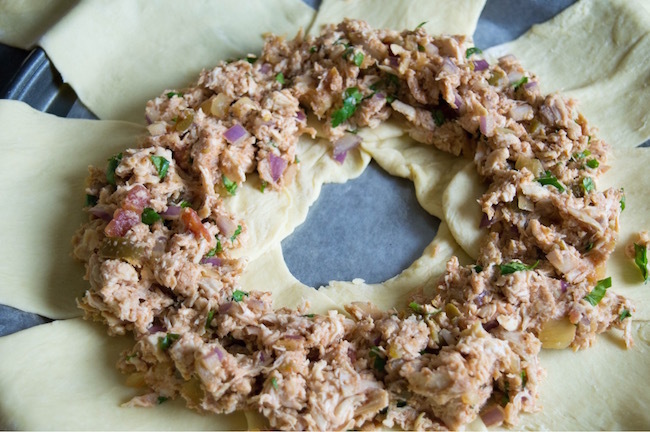 Add an even layer of meat mixture to the ring of the dough (where the dough touches each other). Add an even layer of shredded cheese over the meat mixture. 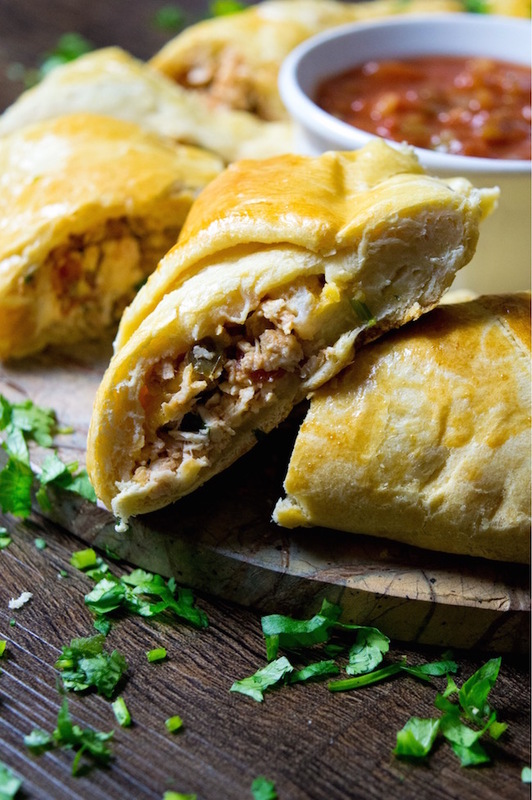 Gently take each end of the dough and tightly pull it over the cheese and meat, being sure to tuck it cleanly under the other end of the dough. Pinch all ends together. In a small bowl, beat an egg. 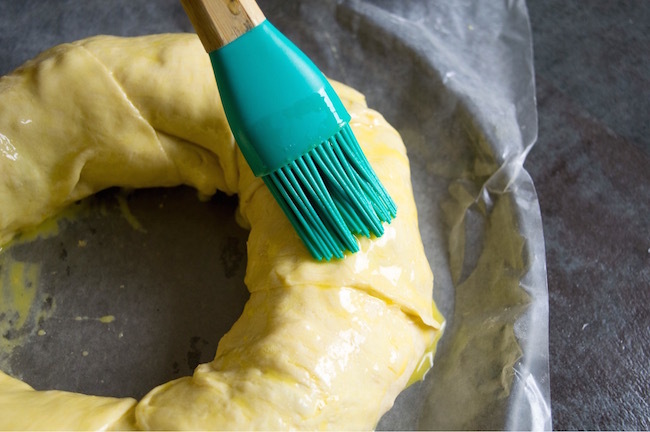 Take a pastry brush and with the egg, gently coat the top of the dough for a nice color while baking. Bake for 20-25 minutes, or until a nice golden color.